California’s water allocation system hampers its ability to meet the state’s needs, especially in times of drought. At its heart is an unusually complex array of water rights. 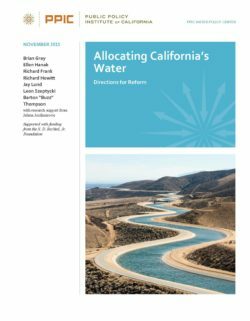 This report summarizes challenges and suggests reforms to strengthen the state’s ability to weather droughts and shifting economic demands for water, while maintaining the existing seniority of water rights. Read a summary of the report’s policy recommendations. 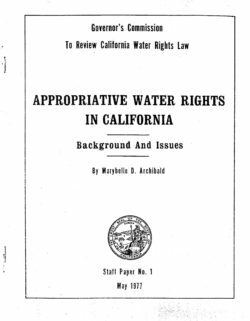 This paper is part of a series of background and issue papers prepared by the staff of the Governor's Commission to Review California Water Rights Law. 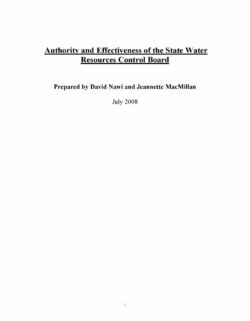 This report addresses issues related to the effectiveness of the California State Water Resources Control Board (“State Board” or “Board”) in carrying out its roles and responsibilities, with particular reference to the Sacramento-San Joaquin San Francisco Bay-Delta (“Delta”). Section 1 presents an overview and evaluation of the authority and responsibility of the State Board. 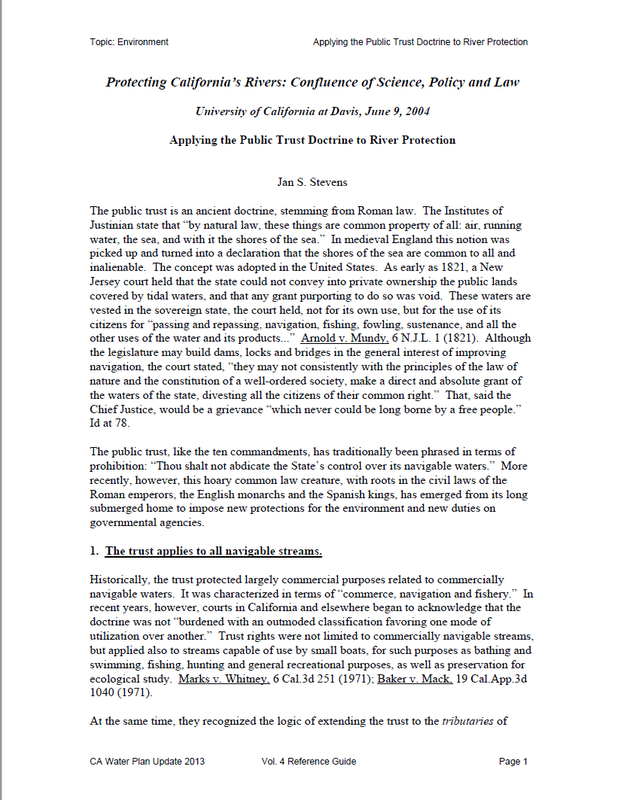 Section 2 describes actions of the State Board over many years in connection with the Delta, and in summary form, the Mono Lake basin and the Yuba River. 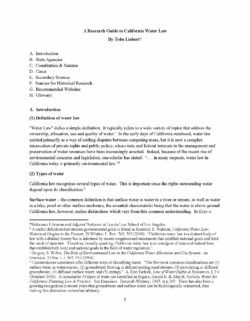 Based on the preceding sections, Section 3 evaluates the effectiveness of the Board with particular reference to the Delta and sets forth some observations related to the Board’s authority and effectiveness. 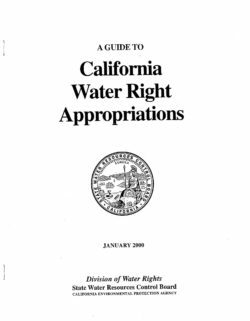 California’s Area of Origin Laws have long been in the background of the State’s major water issues. They were enacted 50-80 years ago, are written very generally, and have not been subject to a lot of interpretation by the courts. However, they remain a potential linchpin to resolving many of California’s most vexing water disputes. For that reason alone, the Area of Origin Laws are worthy of attention. It is the purpose of this report to: provide a brief description of the Area of Origin Laws, to discuss recent court cases that have discussed them, and to summarize the major principles embodied in the laws. 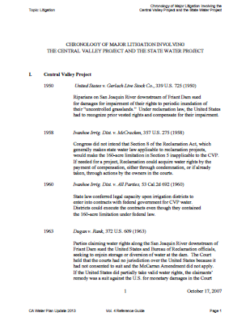 A chronology of major litigation involving the Central Valley Project and the State Water Project from 1950 to 2007. 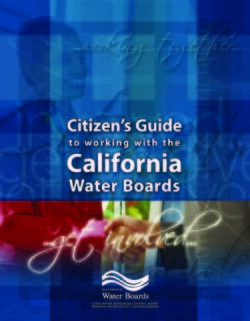 The Guide provides an overview of the Water Boards and the many opportunities that all Californians have to participate with the Water Boards in decisions and activities that affect the state’s water resources. While some of the public participation opportunities are formal, e.g., at a Water Board hearing, others are less formal, but just as important, e.g., a stakeholder process implemented by a Regional Board. 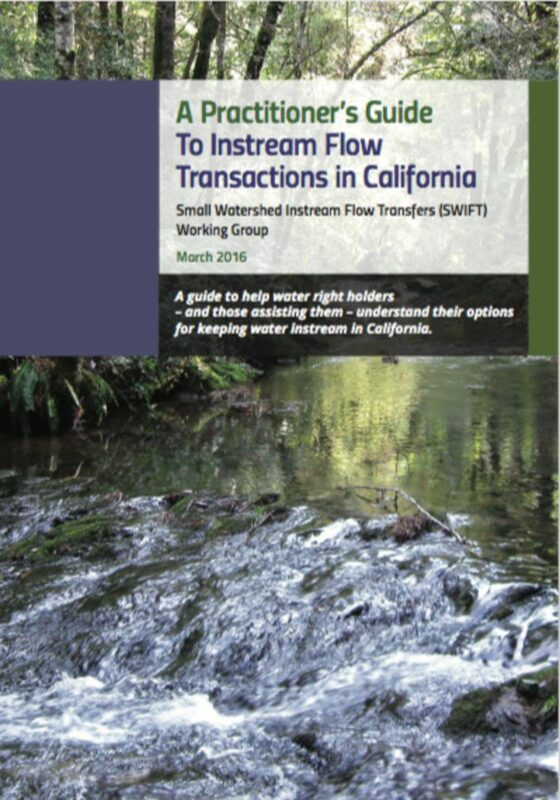 Although the Guide doesn’t contain information about specific water quality decisions that are before the Boards, it will direct you where you can find that information. We look forward to updating this Guide periodically to assure its continuing usefulness to you, the public.